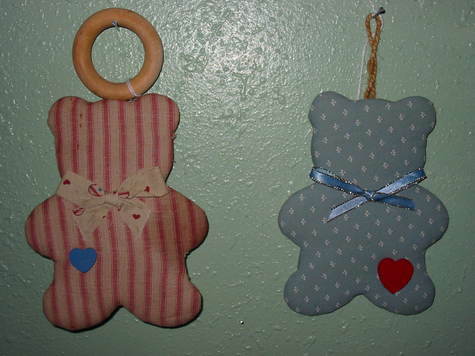 These beautifully handcrafted Bear Heart Wall Hangings will make you remember the simple times in life as a child. Made with various colored fabric with lovely bows and hearts. These are approx. 7in tall and will make a wonderful addition to any home.